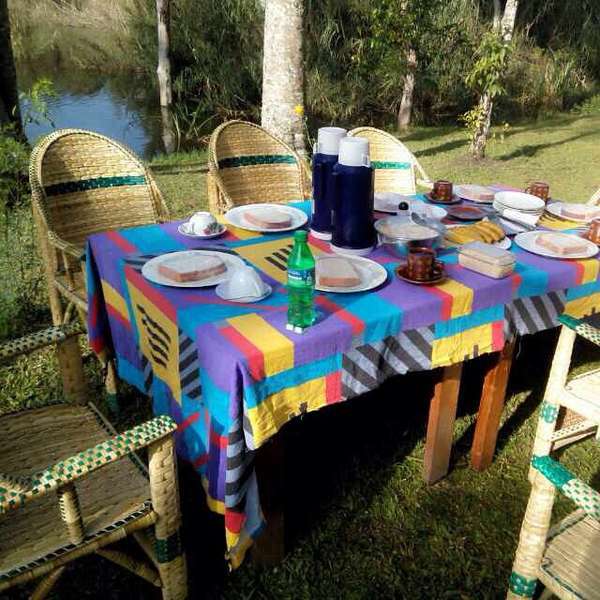 Rweteera Safari Park has a range of accommodation, designed to meet every need and budget. We have 6 secluded standard size types of tents. Each tent is equipped with mattresses, pillows, beddings, all day running hot water, double bed, toilet, and mosquito net and a fantastic view of the lake with private relaxing area in front. 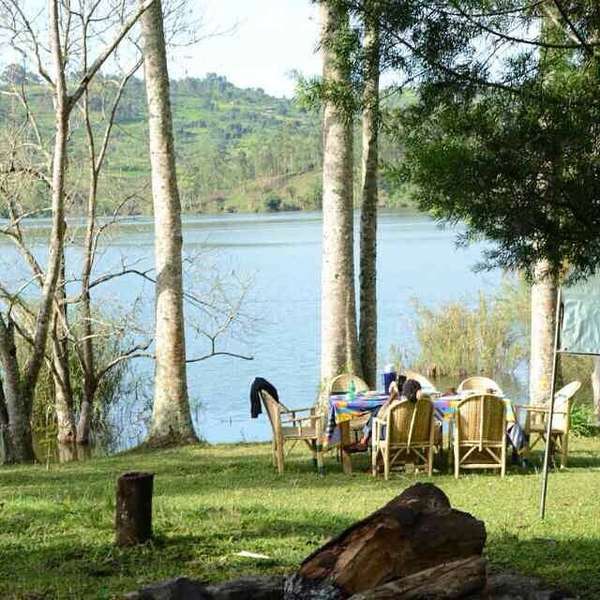 The tents are all about 60 square meters, comfortably furnished tents with bathrooms, all day running hot water, double bed, toilet, and mosquito net and a fantastic view of the lake. The lodge is just 15 minutes’ drive from chimpanzee tracking point and other forest activities making it an ideal stay. You can either do chimpanzee tracking or chimpanzee habituation where you will stay with the chimps whole day as you watch them play, feed, make nests and this activity runs from 6am to 6pm. Chimp permits are bought from Kibale National Park a walk away from Rweteera Safari Park. 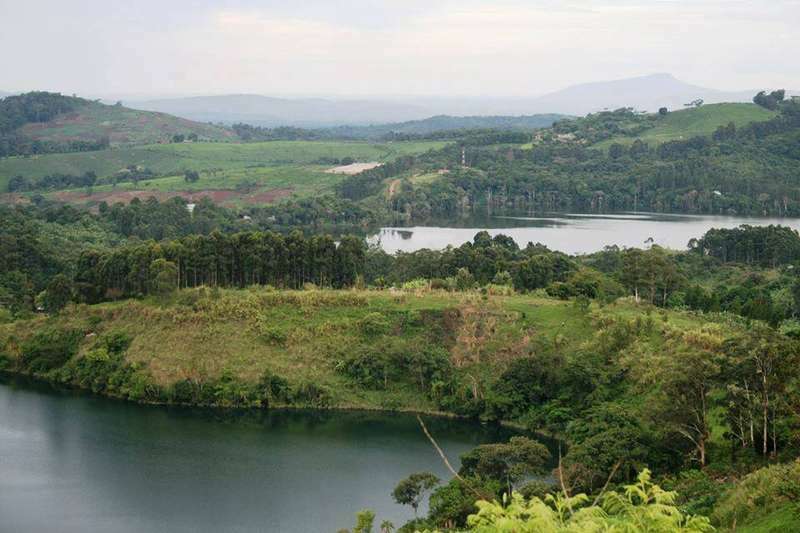 Enjoy crater lakes and nature walks during your stay. As a home-stay guest, you participate in the activities of the host family and they become your guide during your stay. Rweteera Safari Park area is one of Uganda’s most rewarding destinations to explore. It’s located just outside Kibale National Park 18km along Kamwenge road-Fort Portal Western part of Uganda. This place is an ideal base for tourists visiting Kibale Forest National Park, Queen Elizabeth National Park, Semliki Game Reserve and Semliki National Park, and Mountain Rwenzori National park. To confirm your reservations, a deposit equal to a minimum of one night's room rate, or 50% of the entire stay's Whichever is more is must for confirm reservation. We accept cash, bank transfer or western union. For alternate arrangements, please contact the Hotel.